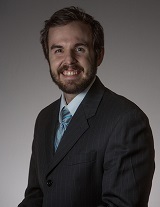 Abstract: New research has recently raised the profile of nonviolent civil resistance as a major and particularly effective form of political struggle. Yet the dynamics of nonviolent movements for change in repressive non-democracies remain poorly-understood. 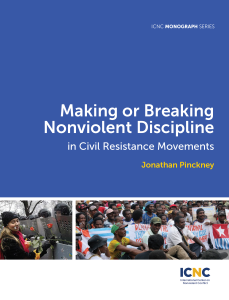 In particular, little empirical research has addressed the crucial question of nonviolent discipline; how the leaders of nonviolent movements maintain their followers’ adherence to nonviolent practice, an aspect of civil resistance often argued to be crucial in explaining its success. In this monograph I use new event-level data from the Nonviolent and Violent Campaigns and Outcomes (NAVCO) 3.0 dataset as well as comparative case studies to answer crucial questions about the aspects of movement tactics, strategy, and organization, as well as the broader political and social environment, which facilitate or undermine nonviolent discipline. The findings of this study will increase scholarly knowledge of the dynamics of civil resistance, as well as providing important insights for activists, civic educators, and policymakers. Download the published manuscript here. Purchase a hard copy via Amazon (US$6.99).